Transportation Redefined Once Hyderabad Metro Rail becomes operational, it will be the world's largest elevated metro rail. A PPP project based on DBFOT (Design, Build, Finance, Operate and Transfer) basis, It is estimated that HMR will be catering to 15 lakh passengers, after the commencement of its operations. Covering a distance of 72 kilometers, with stations at every kilometer, HMR is poised to redefine the city's transportation. 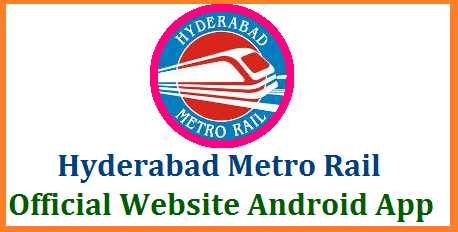 HMR is not just a metro. It is an urban rejuvenation and redesign endeavour that will transform Hyderabad into a commuter-friendly, modern and green city. The objective is to provide socio-economic benefits and equal opportunities in public spaces to all citizens. The ticket pricing is affordable, the journey time is reduced, and pollution is addressed by way of design, while elevated rails and platforms decongest the traffic. HMR is not just a Metro, but an urban rejuvenation effort, redesigned with the latest technology inputs, to transform Hyderabad into a people-friendly green city, Eco-friendly stations with natural ventilation, skywalks, ramps, escalators, elevators a host of commuter-friendly facilities, promotion of gender equality and women's empowerment results creation of employment opportunities and generation of many ancillary industries in & around Hyderabad. All telecommunication facilities will be state-of-the-art, facilitating continuous communication between Central Control, train drivers and station masters. Good intermodal integration will be provided at all rail terminals, bus stations, and MMTS stations; all stations will have air conditioned "Merry go round" minibus services, connecting nearby colonies, business establishments and other popular places. Eco-friendly travel mode – it will reduce air and noise pollution in the city smart card-based automatic ticketing & gate systems for passenger convenience and seamless travel. The proposed rail will have a maximum speed of 80 kmph, the average speed of the trains will be around 34 kmph- an international standard for MRT systems. Rails will of course be continuously welded in order to lessen the noise levels. Eco-friendly travel mode that will reduce air as well as noise pollution in the city terminals. Also station based junctions will be conducted with bus transport (bus rapid transit system) routes smart card-based automatic ticketing systems.